On Thursday, June 8th, the Village of Mamaroneck Republican Committee released their candidates for the positions of Village of Mamaroneck mayor and trustee. The candidates are George Mgrditchian and Maria Micone DeRose. Their challengers are democrats Tom Murphy and Nora Lucas. In a press release, Mgrditchian wrote that he has been a resident of Mamaroneck for thirty-four years and has been involved on several boards, and currently he is the president of the OPA (Orienta Point Association). He said, “I have invested a great deal of time and effort familiarizing myself with the issues confronting our community, and I now feel I am at a point where I am sufficiently informed about these issues to understand how they impact the diverse community we call home”. In the same press release, Maria Micone DeRose wrote, “I want to restore a spirited sense of democracy to our local government. I believe in a Board where members can speak their own minds and work together to come up with workable solutions to our issues”. The Town of Mamaroneck has reaffirmed its commitment to reduce planet-warming greenhouse gas emissions. In a resolution that was passed on Wednesday, June 7th, the council condemned President Trump’s decision to withdraw the country from the Paris Climate Accord. The resolution cites overwhelming scientific evidence that human activity contributes to climate change. It states, in part, “climate change will be extremely damaging to many areas of the world, including coastal areas like Mamaroneck, and that effective actions can be taken to mitigate climate change and such actions can bolster economies”. If you want to learn more about this resolution and other town news, you can see the Town meeting online at www.lmctv.org. The Village of Mamaroneck Police Department issued an alert on Monday, June 5th that warned residents of a possible luring incident that had occurred on Wednesday, May 31st. The alert stated that at 1:30 p.m., a female Mamaroneck High School student was approached by a middle-aged black man, who spoke with an accent, driving a white van on Rockland Avenue. He said, “I want to drop you”. When she chose to avoid the man, he drove off but then approached her again on Center Avenue and said, “I just want to drop you off”. When she ignored him for a second time, he said, “I know you can hear me”. The man eventually drove away without harming the girl but the Village of Mamaroneck Police want to remind parents to talk with their children about the following safety precautions: do not talk to strangers; never enter a vehicle with a stranger; walk in public areas whenever possible and walk in group; if approached by a stranger, run to safety, try to remember the license plate number or other descriptive information, call 911 to immediately and report any suspicious behavior to the police. An area of sidewalk on Palmer Avenue in Larchmont was shut down on Monday, June 5th as demolition began on a building that had suffered massive damage from an October fire. The building, which is located at 1912 Palmer Avenue was severely damaged from the fire that left several people displaced. The Daily Voice reported that the demolition would last from three to five days. Once completed, the scaffolding will come down and there will be a protective barrier in its place. The demolition was handled by crews from Capital Wrecking, who also started restoring the brick paver section of the sidewalk on Friday, June 9th and they mobilized their equipment the next day. The demolition started at the back of the building. Village of Larchmont officials issued the following statement regarding the temporary closure of the sidewalk, “for safety reasons, the sidewalk in front of 1912 Palmer Avenue will be closed for all of next week. Access to the Citibank and The Corner Store will not be affected. Those persons wishing to walk from Wendt to Chatsworth will have to cross Palmer twice. Please do not risk injury by walking in the roadway”. The home of The Local Live and the LMCTV Studio, which is located at 145 Library Lane in Mamaroneck, could soon be turned into a residential development, if the project is approved by the Village of Mamaroneck Board. According to lohud.com, Garson Properties submitted the site plan last month to turn the building that is housed by LMCTV as well as an adjacent building, into a 16,000 square foot apartment housing development. A public hearing on the site plan is currently and the Planning Board will vote on the plan this coming fall. The new apartments will be close to Harbor Island Park and other local hotspots on Mamaroneck Avenue. On Monday, June 5th, a Queens man was hit and killed on Interstate 95. The accident occurred around 1:00 a.m. near Exit 18B. According to ABC Eyewitness News, the man, who was identified as Maicol Encarnacion Garcia, had stopped on the side of the road to change a tire on his car when he was struck by a tractor trailer. The driver of the truck did not stop. Garcia, who was twenty years old, lived in Richmond Hill. State police from both New York and New Jersey are on the lookout for the truck driver. Even though, there wasn’t any specific information released about the truck, police report that it was towing two trailers. Police are encouraging witnesses to call the Bureau of Criminal Investigation in Hawthorne, New York at (914) 769-2600 or the New Jersey State Police at (609) 882-2000. All calls will be kept confidential. Last week, Mamaroneck High School held a ceremony to honor its senior athletes who will be going to college in the fall to continue their athletic careers. The Tigers celebrated the achievements of twenty student athletes. The honored students are: baseball players Truman Devitt, Andrew Francella and Jarrett Nachtigal; cross-country runners, Sam Morton and Will Robinson; lacrosse players Emmett Fay and Molly Nodiff; rowers Alexa Cestaro, Lindsay Devore, Courtney Sawyer and Nina Smoor; soccer players Matt DiCicco, Cameron Richards, Olivia Rodrigues and Jack Spiridellis; softball player Mia Steinberg; swimmer Colin Johanson; track runner Papa Diop and volleyball player Leslie Morales. There were six Division One athletes among the twenty. On last week’s show, we introduced you to the Girl Scout’s effort to raise money for one of their younger members at the event Walk and Roll. Philippa Wharton was on hand to cover the event. Our Pets of the week are Ginger, a five Tabby cat and Chad, a beagle-mix puppy who is just under a year old. Ginger loves to lay by the window and she loves to be petted and brushed. She has slight asthma causing her to wheeze at times. She is otherwise in good health. Chad is very sweet and loves playing with toys and other dogs. He is learning how to properly walk on a leash and he knows the commands of sit, down, paw, leave it, drop it as well as other tricks. For more information on either Ginger or Chad and other pets, go to www.ny-petrescue.org. LMCTV and The Local Live are seeking donations for several journalism initiatives. Please go to our website, www.lmctv.org and click on the DONATE button. We appreciate any donation. Larchmont’s Memorial Day Parade was held in the rain on May 25th. There were also ceremonies at the local American Legion and VFW posts in the area. Mamaroneck’s parade was held on Tuesday, May 30th which was followed by a ceremony at American Legion Post #90. A ceremony to honor fallen service members was held earlier that day at Kemper Memorial Park. In the United States, Memorial Day is considered to be a most solemn holiday, especially to the military, as all citizens remember those who made the ultimate sacrifice while serving their country. Four democrats were hoping to fill two seats in the Village of Mamaroneck. The local democrat party endorsed two of them, Tom Murphy for mayor and Nora Lucas for Trustee. Mayoral hopeful John Hofstetter made a statement to The Mamaroneck Review that he won’t run without being backed by the democratic party. However, trustee candidate, Dan Natchez is still going to run for now. Current Mayor Norman Rosenblum will not be seeking re-election-the first time since 2010, but instead will be challenging incumbent Catherine Parker as the Westchester County Legislator for District 7. On the May 25th episode of The Local Live, co-producer Cat Galeano and Round Table host, Maura Carlin spoke with Westchester County Executive, Rob Astorino. The show was also a special call-in show with residents asking him questions as well. Several hot topics were discussed like immigration, refugees, if he was going to run for governor, the Green Light NY Driving Together Campaign and even President Donald Trump. On May 26th, a student from Rye Neck was hit by an SUV, as reported by the Mamaroneck Daily Voice. The eleven-year-old student was struck in front of 1310 Boston Post Road while on his way to his middle school. The extent of the injuries were not disclosed, although Mamaroneck Police Lieutenant Robert Koziak stated that the child was conscious and alert while being transported to Westchester Medical Center for treatment. LMCTV received a check from Sedona Taphouse for $722 that had been accumulated from the promotional campaign of $1 for each steak sold during the month of February as part of their “Steak-Out for Charity” program. We are thankful to Sedona Taphouse as well as the community for the support. LMCTV Chief of Operations, Matt Sullivan was onsite to receive the check. In Our LMC Varsity Sports Play of the Week, the Rye Neck High School Softball Team rallied from behind to beat Putnam Valley High School in a sectional semi-final. Rye Neck then went to face Valhalla High School in the finals. Unfortunately for the Panthers, they were beaten by a strong Vikings team by a score of 11-0. Rye Neck fans, don’t be too sad for your girls. They finished their season with a record of 20-3. Local Live anchor Mike Witsch spoke with Polly VanderWoude and Patricia Allen about an upcoming event, “Walk and Roll” that will be held at the Sarah Neuman Nursing Home which is located at 845 Palmer Avenue on Wednesday, June 7th from 4-5:30 p.m. In case of rain on Wednesday, the event will be held the next day. Patricia is the local scout-mistress and Polly is the mother of a very special Daisy Scout named Olivia who is confined to a wheelchair. The event’s purpose is to raise funds to make the local girl scout facility handicap-accessible so that Olivia can participate in future events that will be held at the facility. Our Pets of the Week are Peanut, a young Tabby cat and Seg, a six-year-old German Shepherd. Peanut loves looking out the window. He gets along well with other cats and is very sweet but he also has an independent streak. Can you picture him on your window sill? Seg is warm-hearted and loves people. He loves human companionship and gets along with other animals as well. He would love to go home with and give you a big warm hug at the end of your day. For more information on either Peanut or Seg as well as other pets, go to www.ny-petrescue.org. LMCTV and The Local Live are asking for donations to help support several journalism initiatives. To make a donation, go to our website, www.lmctv.org and click on the DONATE button in the upper right corner. Your donation will help and we really appreciate any and all donations. 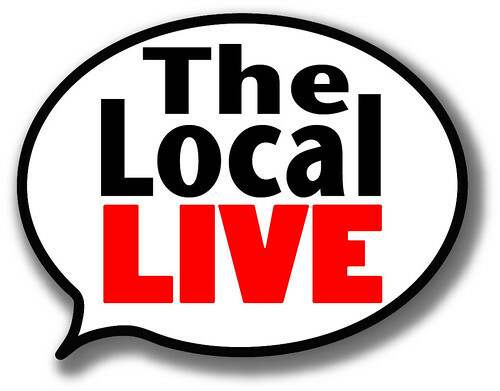 The Local Live is always looking for new interns and volunteers, so send your emails to thelocallve@lmctv.org. We love hearing from you. On Monday, May 22nd, four residents attended the Village of Mamaroneck Board meeting to complain about a potential raise in salary to Building Inspector, Dan Gray. They do not think that he deserves the increase. Their major issue was the Building Department’s handling of activities on Grove Street, The Sandbox Theatre and Ralph’s Italian Ices on Boston Post Road. They also shared frustrations with the length of time the department takes to respond to complaints, even when residents come well-prepared with their issues and problems. Trustee Leon Potok said Robert Yamuder will watching the inspector and the department, which will soon be under reviews. Trustee Keith Waitt added that the workload for the Building Department is large and that Inspector Gray is not the problem. The Weaver Street Firehouse needs their floors reinforced so the Town of Mamaroneck is seeking the approval from residents to borrow more than a $1 millions to do the job. The Town Board approved a referendum and set the vote for June 27th. Town Administrator Steve Altieri explained that the center bay floors cannot sustain the weight of new apparatus and the two outer bay floors are cracked and need to be replaced. During the meeting, the Town Board also honored Dolores Battalia and Caroline Silverstone for their long-term involvement with affordable housing. Walter’s Hot Dogs recently announced that after celebrating 98 years in Mamaroneck, they will open a second hot dog eatery in Downtown White Plains this coming fall. The menu will include many of Walter’s Classics as well as some new dishes. On Thursday, May 25th, the Open Door Family Medical Center officially opened at 689 Mamaroneck Avenue. This will mark the first federally-qualified health center in Mamaroneck. The center will focus on supporting low-income individuals and families. George Latimer, Suzi Oppenheimer, Steven Otis as well other local public officials helped to celebrate the grand opening. Open Door’s President and CEO, Lindsay Farrell, hopes that the community will take advantage of this new medical resource. In the meantime, a controversial proposal for a health center at Mamaroneck Avenue School is still under consideration. The Open Door Medical Director, Dr. Daniella Diaz, will be welcoming new patients to the center and she invites residents of the community to schedule appointments to learn more about the Open Door and its medical services. For more information, go to http://www.opendoormedical.org. On Wednesday, May 24th, LMCTV awarded the best of the best in both programming, local sports and local news packages. The event was held at the VFW 1156 located at 1288 Boston Post Road in Mamaroneck. The Larchmont Mamaroneck Local Summit received the Mary Anne Sullivan for Overall Achievement in Community Television. Peter “Bubba” Fanelli was awarded The Paul Gallanter Special Recognition Award. Congratulations to all the winners. You can watch the festivities on our website, www.lmctv.org as well as reruns on LMCTV channels. In our Round Table discussion, Cat Galeano and Maura Carlin spoke with Rob Astorino, the Westchester County Executive about what’s going on in Westchester, the upcoming election and other issues that affect the county. Viewers were encouraged to participate and ask questions via Twitter, email and by calling into the studio. The LMC Varsity Sports Play of the Week features a first-round sectional playoff game between the softball teams of Mamaroneck and New Rochelle. Mamaroneck got a quick spark at the start of the first inning. Our Pets of the Week are Rocky and Polka. Rocky is a sweet cat who loves tap water and to be loved. He suffers from a minor heart condition and needs extra TLC. He takes medicine, two small pills, once a day to treat the condition. Polka is an energetic and playful little pooch. She would do well in an active home and would be a perfect jogging companion. She gets along with most dogs and loves human attention. For more information, on either Rocky or Polka, as well as other pets, please visit www.ny-petrescue.org.